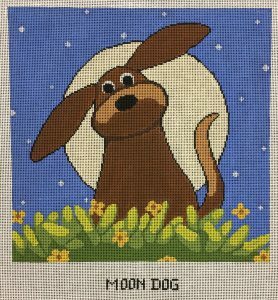 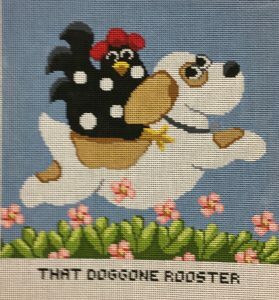 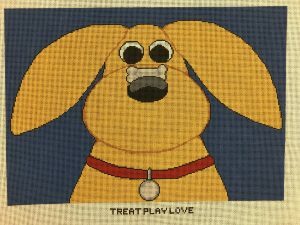 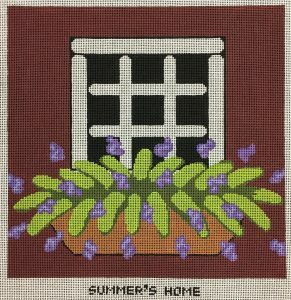 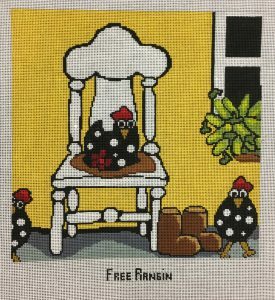 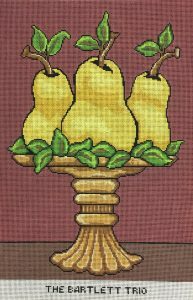 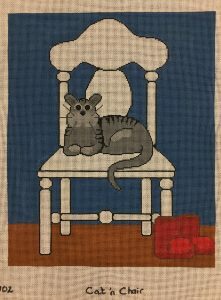 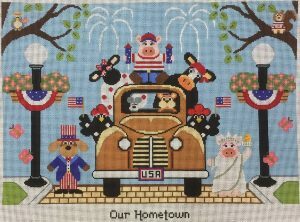 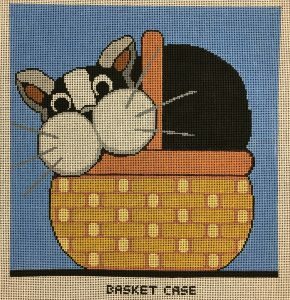 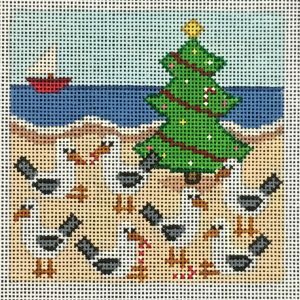 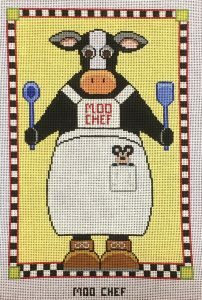 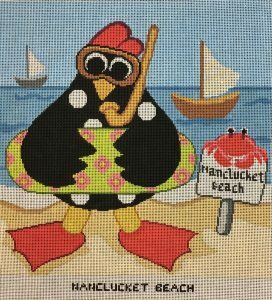 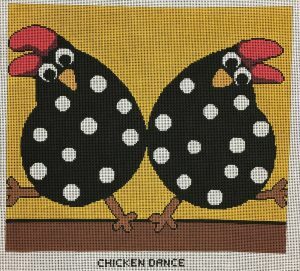 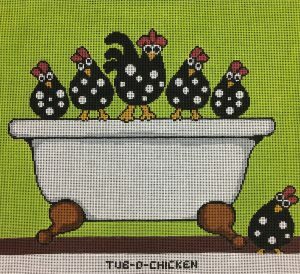 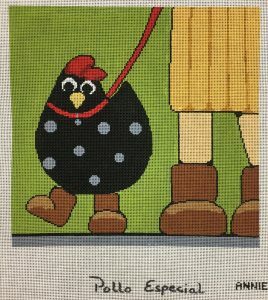 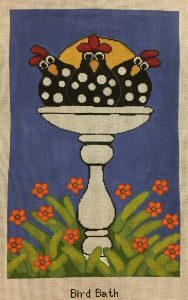 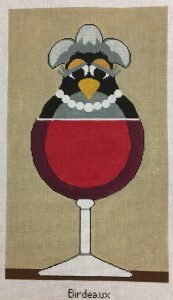 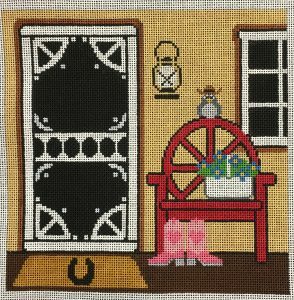 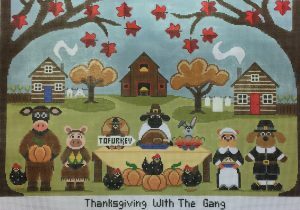 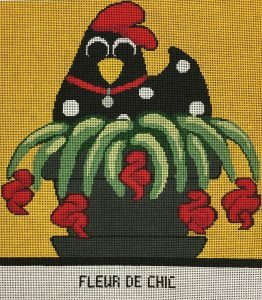 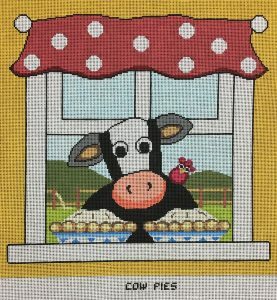 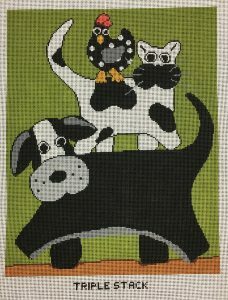 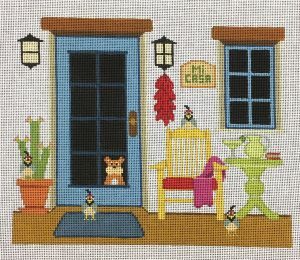 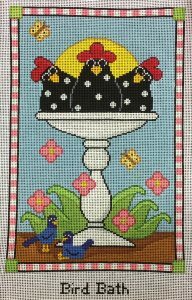 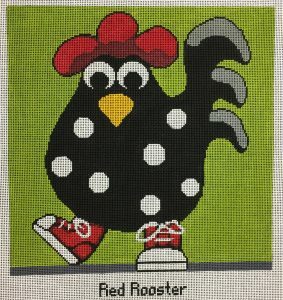 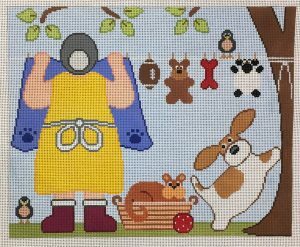 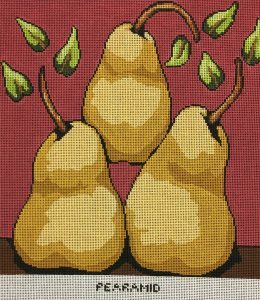 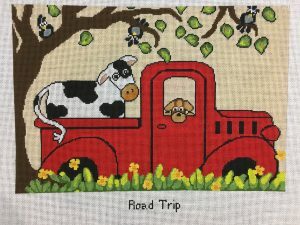 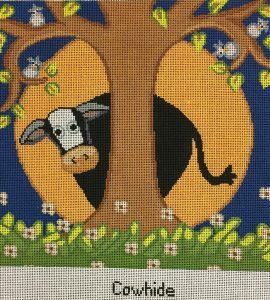 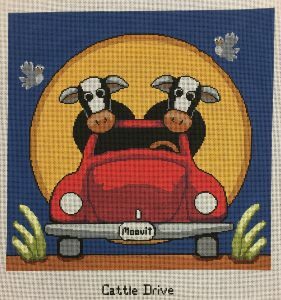 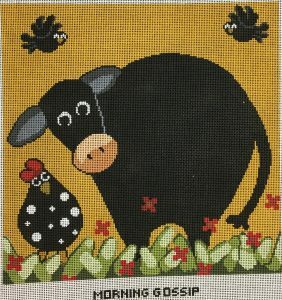 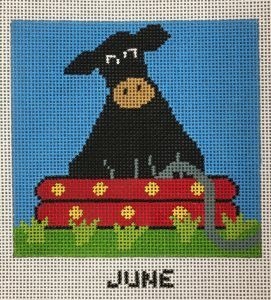 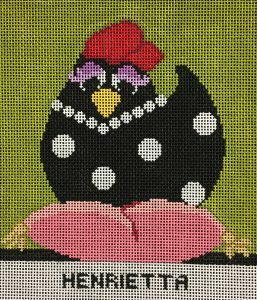 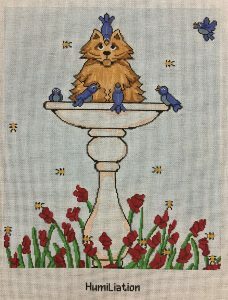 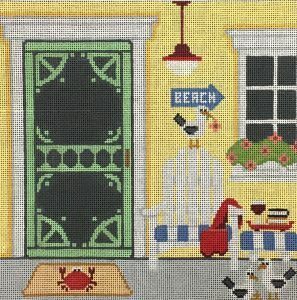 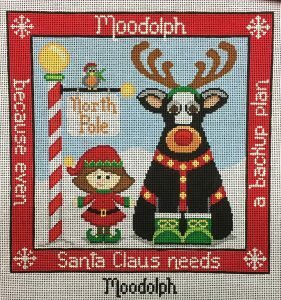 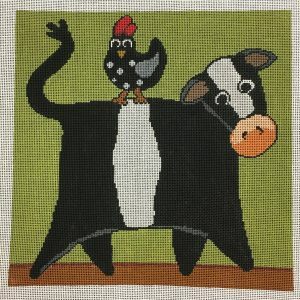 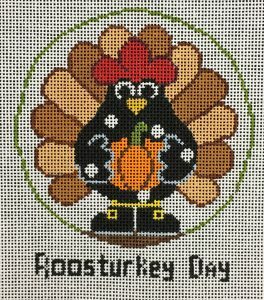 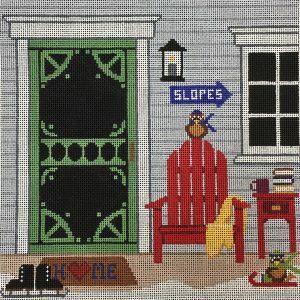 Annie Lane’s folk art designs have enjoyed enormous popularity over the years and we are delighted to have the exclusive rights to her designs in needlepoint. 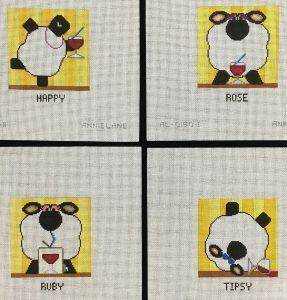 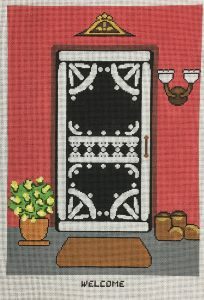 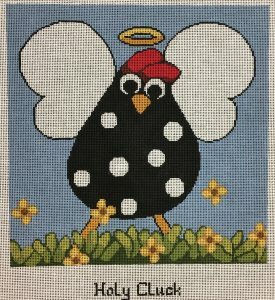 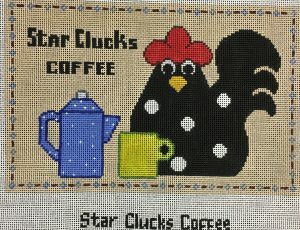 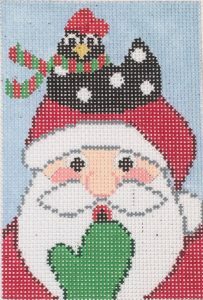 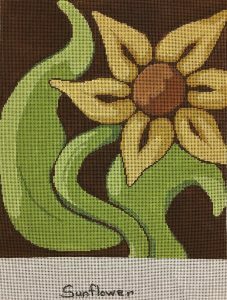 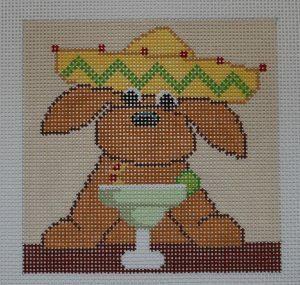 These designs are stitch painted and many have stitch guides available with them. 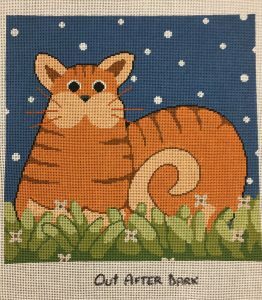 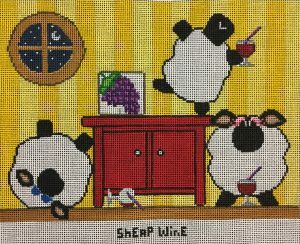 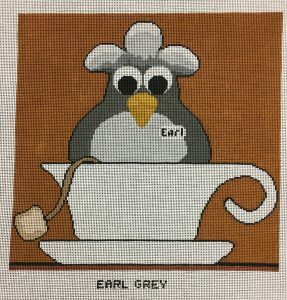 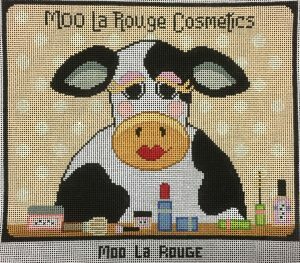 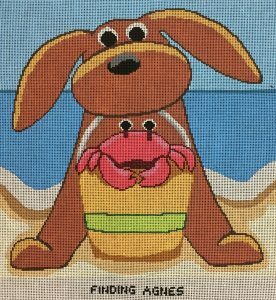 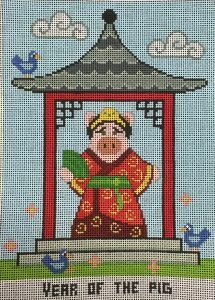 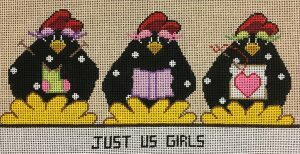 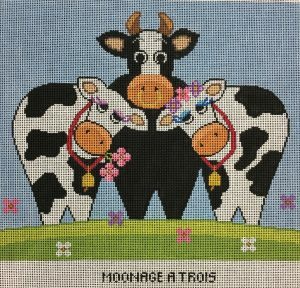 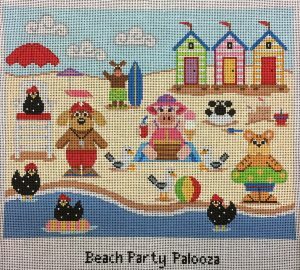 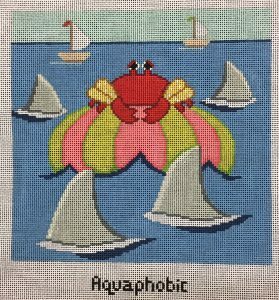 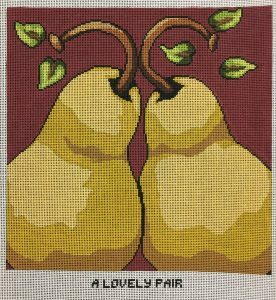 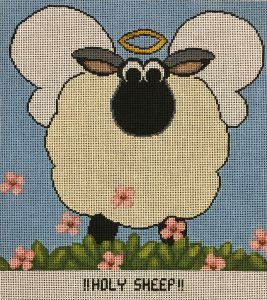 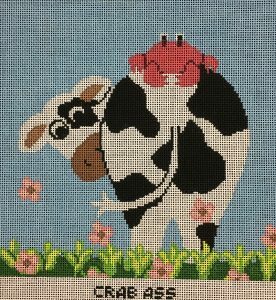 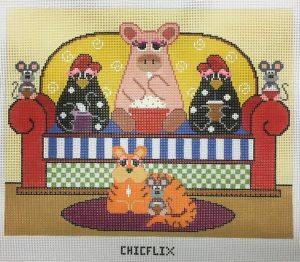 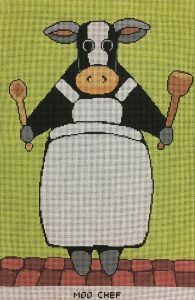 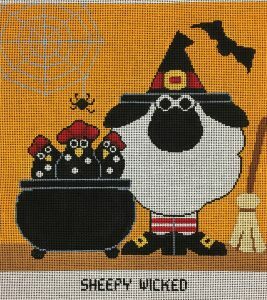 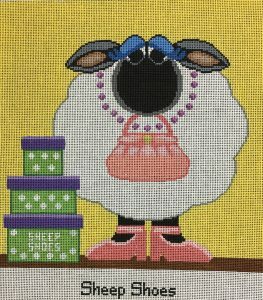 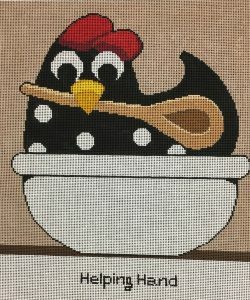 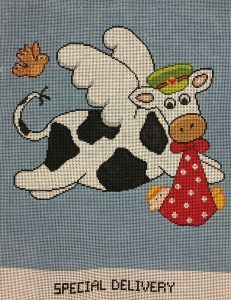 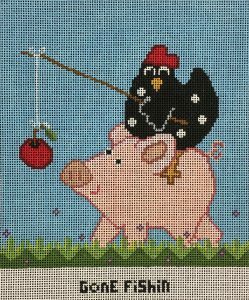 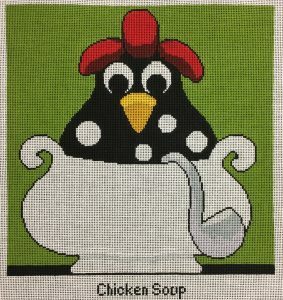 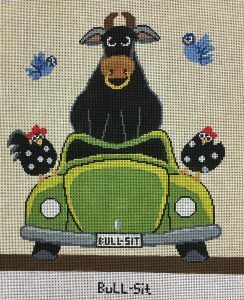 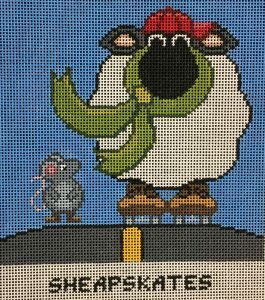 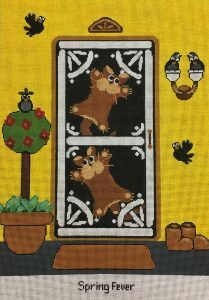 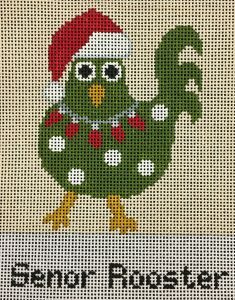 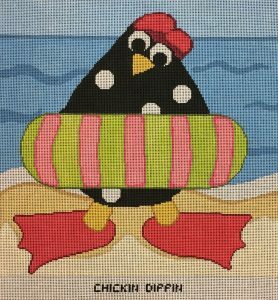 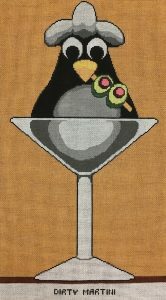 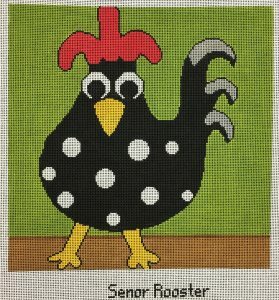 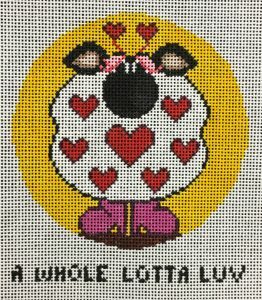 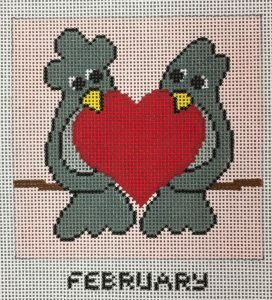 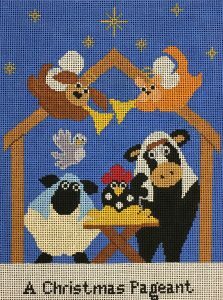 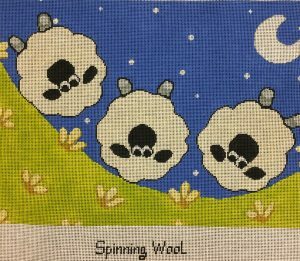 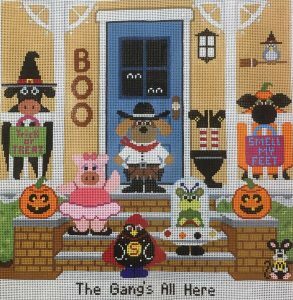 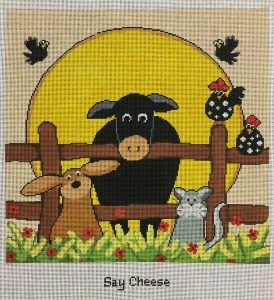 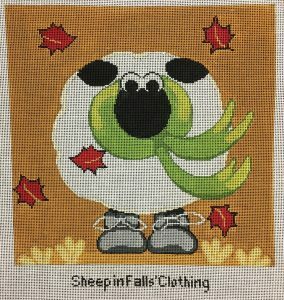 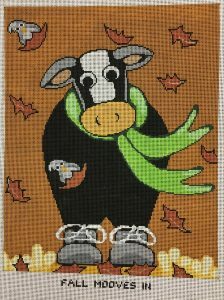 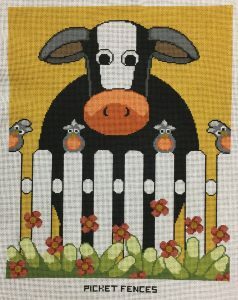 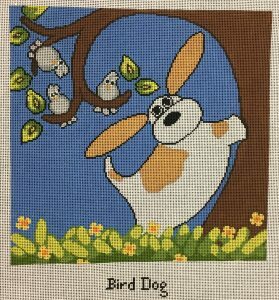 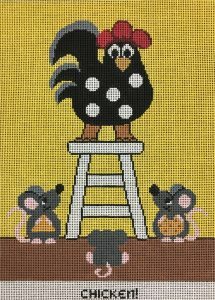 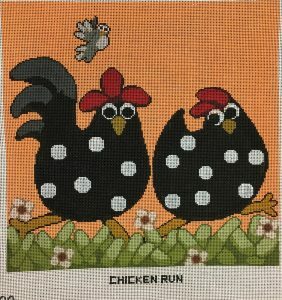 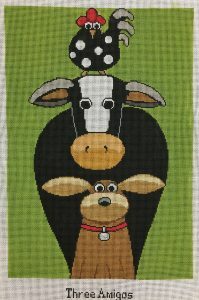 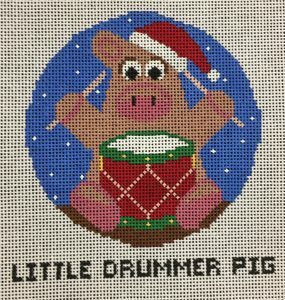 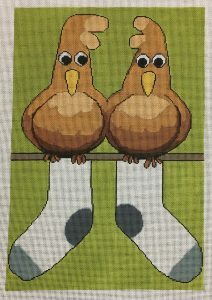 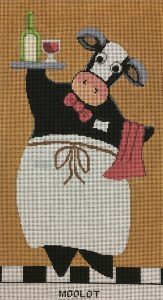 The designs are whimsical, perfect for using different threads and stitches and are guaranteed to make you smile!!! 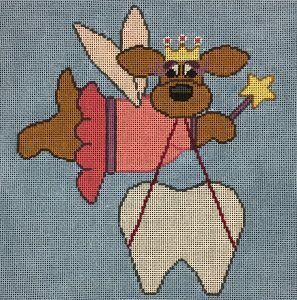 Bet you can’t stitch just one!!! 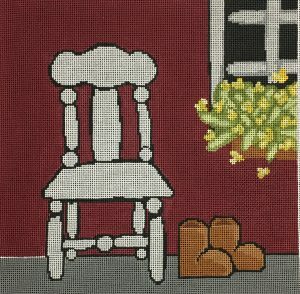 We are adding her entire collection to this page with details about the size and canvas. 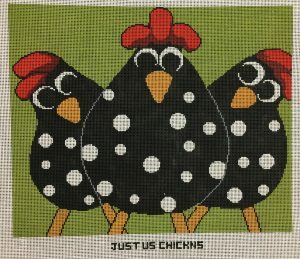 Most are in stock – Just call the shop anytime and we will send it your way! 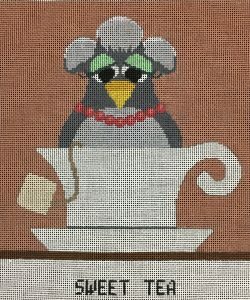 New Year, New Annie Canvases! 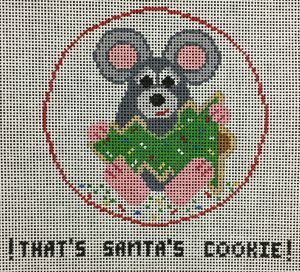 Annie’s critters are celebrating Christmas! 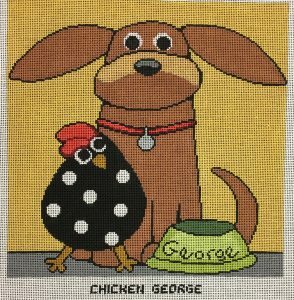 Annie’s critters are getting around! 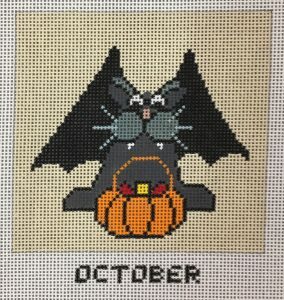 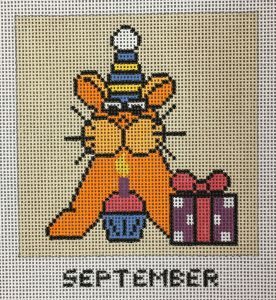 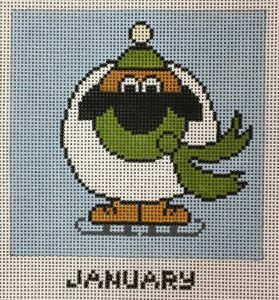 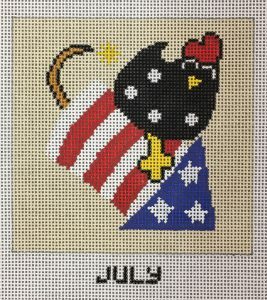 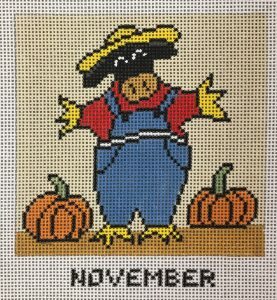 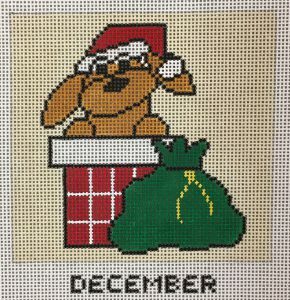 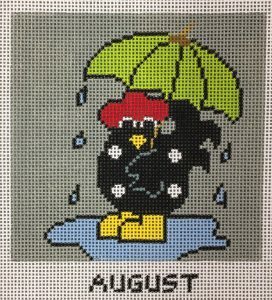 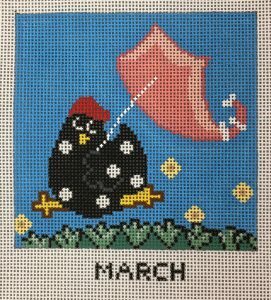 Celebrate every month of the year with these whimsical Annie Lane Calendar Critters! 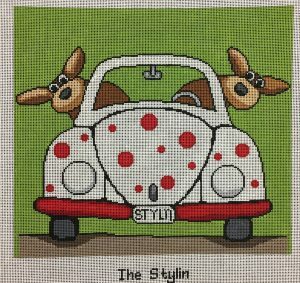 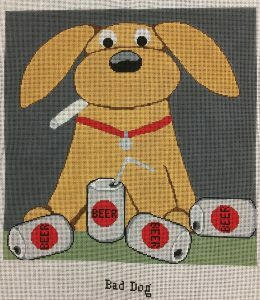 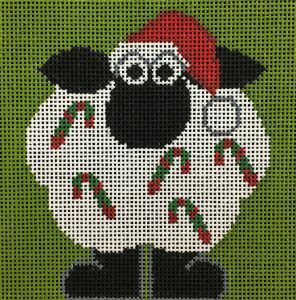 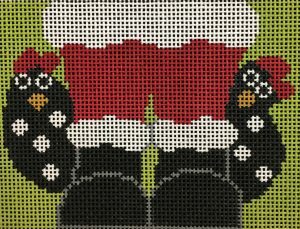 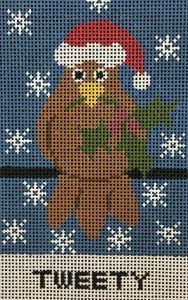 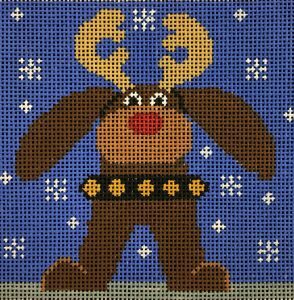 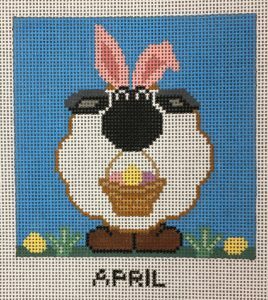 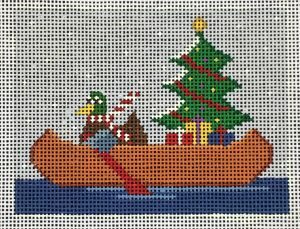 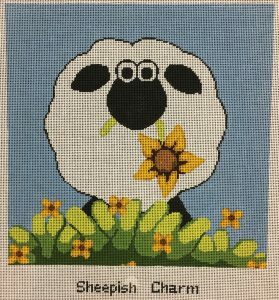 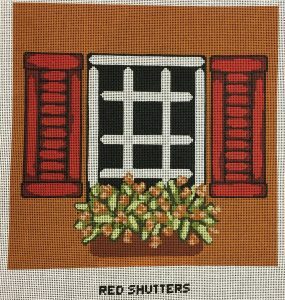 Each canvas is on 18 mesh and measures 4″ x 4″. 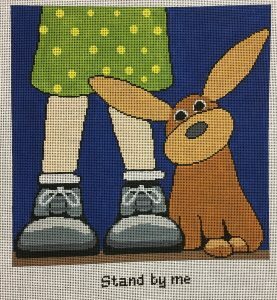 More Exclusives from Annie Lane! 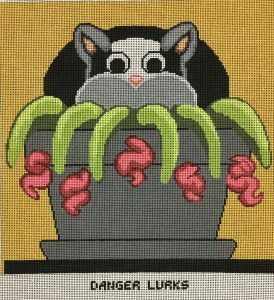 #123 Danger! 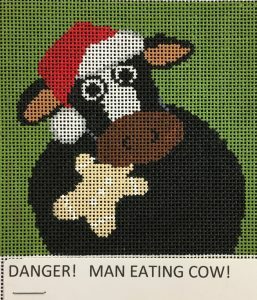 Man Eating Cow! 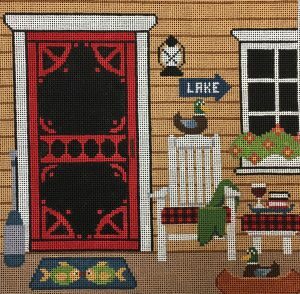 Retired design – limited availability.